ImprovBroadway provides customized improv workshops & classes designed to meet the specific needs of groups and organizations in the community. Scroll down to see programming options and design an improv program that is right for your group! 1-3 hours. Learn the basics of improv as an art form, team building exercise, and wellness activity. Learn the art of improv, up to 40 hours of instruction. Learn to perform in front of an audience, or how to form your own improv program. Classes take place over several days, weeks, or months, customizable by your schedule. At the end of the classes, the group has the option of performing their skills in front of a live audience. Looking for fun, family-friendly entertainment for your group? Watch Utah's award-winning, highest-rated comedy group. 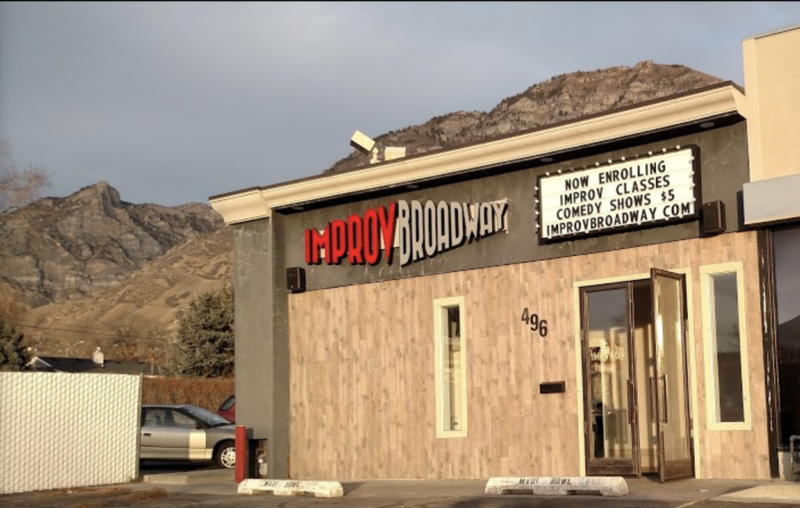 ​Programs can take place at the ImprovBroadway Theater located in Provo or at your facility. ​Travel fees may apply. Pricing ranges from $10-$20 per person an hour depending on frequency of workshops/classes. Contact us for pricing. One-time, monthly, and yearly contracts available. What happens in an improv workshop? Each session is a 1-3 hour interactive, group experience. You'll learn the skills, theory, and philosophy behind improvisation through team exercises, fun games, and group discussion. What happens in an improv class? The classes are focused on teaching improvisation as a skill for live performance. The classes are broken down into 20, 2-hour sessions teaching ImprovBroadway's improv curriculum. What’s the benefit of doing more class hours rather than fewer? They say it takes 10,000 hours to become an expert in a skill, but it only takes 20-40 hours to become proficient. The longer you commit to learning improv in our classes and workshops, the more likely you will see a positive impact in your life as you implement what you’ve learned. Where would the class group perform their final show? On the Improv Broadway stage or, if necessary, at your facility, if space permits. Who attends the final show? Friends, family, staff, coworkers—whoever you think would work best for your group. Clothing that you feel comfortable moving around in. Are there restrooms and drinking fountains at ImprovBroadway? Can we get school credit for participating? It's possible. Every school and district has different rules and regulations, but we will work with you and your school however we can! If I have already taken improv classes before, will I still have fun? YES! Improv is always fun, and there is always more to learn! And ImprovBroadway's unique style will be a fun and different from anything you've experienced before. If our group has individuals who struggle with behavioral challenges, or learning challenges, can they participate? Yes, as long as your group provides appropriate staffing and the individual is not a danger to other group members or to the facility. What is the maximum size allowed in workshops or classes? We can customize your group experience to your size. However we find that workshops are best at under thirty participants and classes at under fifteen. All sales and contracts are final.